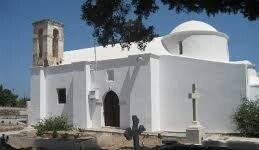 If you are looking for a quaint little church off the beaten track for your wedding in North Cyprus, Dogankoy church could be perfect for you. Dogankoy is a small village located to the south east of Kyrenia. The church is one of the oldest buildings in the area and was recently tastefully restored to make it a really attractive wedding venue, away from the hustle and bustle of the town. The cool whitewashed walls inside the church make it very welcoming on a warm day, so you can share an intimate wedding ceremony under the white stone arches, surrounded by beautiful flowers and your close friends and family.